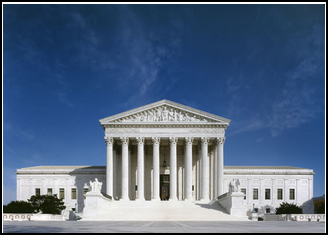 This guide describes how to locate a U.S. Supreme Court case by name, citation and subject. The fulltext of a Supreme Court Case will be found in many sources, both print and online (both UM Databases and free web sources). The print sources are called Reporters. and the two unofficial, parallel reporters are the Supreme Court Reporter (S.CT) and the United States Supreme Court Reports Lawyers' Edition (L. Ed.). These reporters are also available online in the LexisNexis Academic and Westlaw databases. This means, the case can be found in Volume 410 of the United States Reports beginning on page 113. The same case can also be found in the parallel reporters: Supreme Court Reporter at 93 S.Ct. 705, Volume 93 beginning at page 705 and in the United States Supreme Court Lawyers' Edition at 35 L.Ed.2d 147, Volume 35 at page 147. If you do not have a citation and want to locate Supreme Court Cases on a topic, you can use a print index or online sources.